I got a chuckle from this shoulder pain from driving video. The video is very true, I started getting more shoulder pain of late and I was able to follow it back to my driving. Yes, the video is funny but it also has some great points to remember. Am I Causing the Shoulder Pain? Have a look and see if what you are doing is causing the shoulder pain or making it worse. 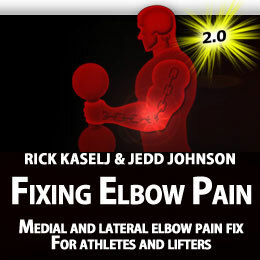 I know when shoulder pain hits, we want to fix it and often times what is causing it is something that we are doing. For me it was my driving. I was resting my elbow on the window and driving with one arm. With my arm so high, this put my shoulder into a pinched position. Then whenever I would turn right, turning the wheel with one arm would put greater stress on my shoulder. For the first few times, it was fine but after a few weeks the pinch turned into an ache, then into pain and finally into affecting what I can do. I needed to make changes to my driving. I started to lower my arm. Instead of having my arm high on the window, I lowered it onto the arm rest. The decreased the pinch in my shoulder. Plus I started driving more with my hands at 10 and 2 o’clock. Look to see if there is something that you are doing that is leading to your shoulder pain. Like what happened to me with my driving, often times it ends up building up with time and going from an ache to full blown pain. One more tip for you. Trying to press my shoulders into the car seat when I was driving helped open up the front of my shoulders, activate my scapular muscles (little ignored muscles around your shoulder blade that are a key to keeping your shoulder pain free.) and it helped improve my shoulder posture. Give the pressing of your shoulder blades into the car seat a go. You do not have to push hard. It is a light push but try to keep pushing it for a long time. It is a little change and exercise that can help with your shoulder pain. That is it for this article. Thanks for reading and watching. This entry was posted on Friday, January 20th, 2012 at 8:20 pm	and is filed under Shoulder Pain. You can follow any responses to this entry through the RSS 2.0 feed. You can leave a response, or trackback from your own site.